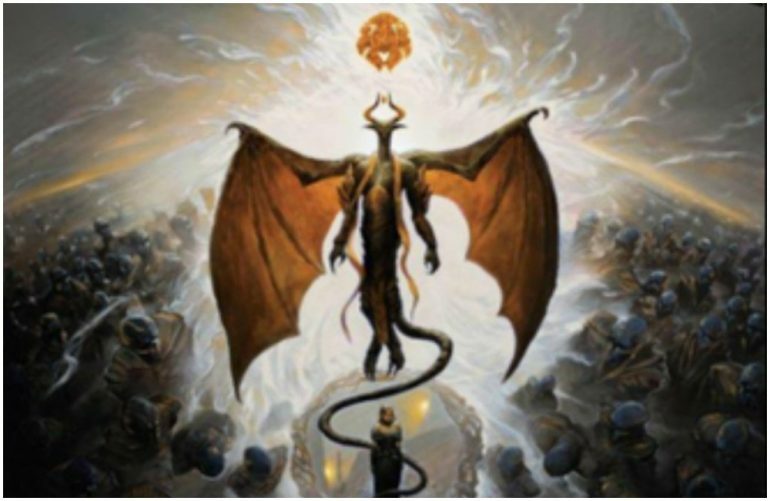 Nicol Bolas, Dragon God, and Elderspell are a deadly combo. War of the Spark is coming to Magic: The Gathering with 36 planeswalkers—but there’s a spell amiss, ready to tear them apart. Set to release at the end of April, the newest expansion to Ravnica will end the war. The winners and losers in this battle, however, have yet to be determined. Many will perish in the War of the Spark expansion, especially with The Elderspell. With Jace and his copy spell, along with so many low-costing planeswalkers, the battle was beginning to look one-sided. The Elderspell swings the pendulum back, knocking out all your opponent’s planeswalkers while beefing up your own. In addition, the text doesn’t specify who’s planeswalkers. 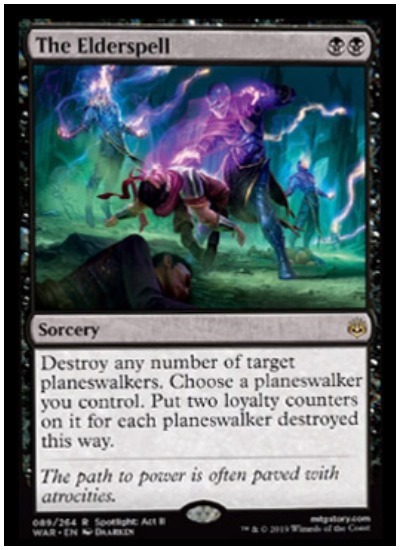 This means you may target your own planeswalkers in order to boost another. By only costing two black mana, The Elderspell is an insane card for both Limited and Standard play. Pair it with the War of the Spark Nicol Bolas, Dragon God, and it’s game over. His minus-eight ability says “each opponent who doesn’t control a legendary creature or planeswalker loses the game.” So much for control decks taking a back seat. But don’t count the creature decks out just yet. The Elderspell will also work in creature-based Golgari decks with Vivian Reid, Vraska, Relic Seeker, and even Nissa, Who Shakes the World. The fight begins in MTG Arena on April 27 with the release of MTG War of the Spark expansion. Paper cards will be available starting May 3.